Are you ready for your own piece of paradise? 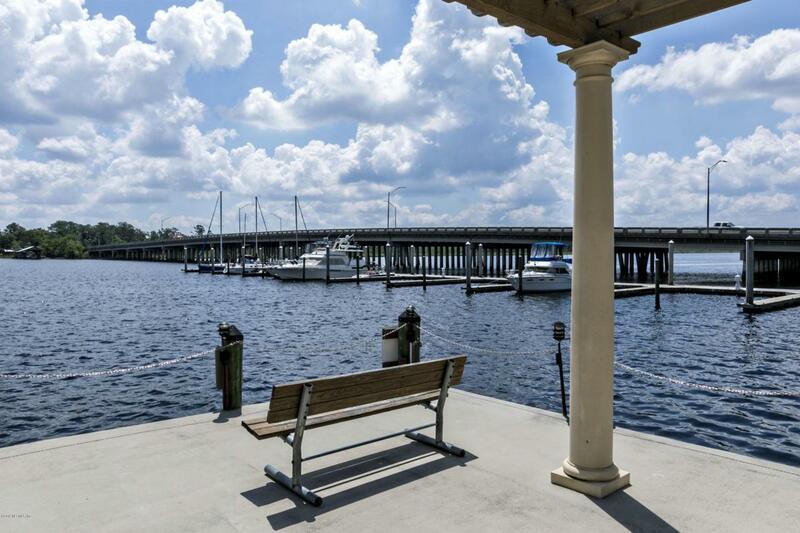 You'll find it right here in this amazing waterfront gated community. Enjoy the beauty of the Ortega River area and fabulous amenities including pool, dock, waterfront center, fitness center and clubhouse. Inside this fabulous condo there's a cozy gathering space with attractive wood laminate flooring and classic wrought iron accents. The kitchen has an adjacent dining area, breakfast bar, rich cabinetry and stainless steel appliances. One bedroom currently serves as a home office and the owner's suite offers private balcony access. You'll love the lanai with its screen enclosed classic arched openings it makes a picturesque spot to just relax and enjoy your surroundings.